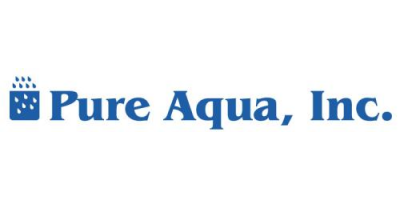 In August 2013, Pure Aqua, Inc. designed and manufactured brackish water reverse osmosis devices to a major company in Dubai, UAE to treat well water. There were four BW-1.5K-140 systems each designed to produce 1,500 GPD at a feed water TDS of a maximum 5,000 ppm, it was selected from our RO-200 series and came complete with a microprocessor control panel along with SS high pressure pumps. Since the initial startup, the system has been functioning accordingly with minimal mode troubleshooting. Brackish water reverse osmosis would work to purify water that comes from a well, lake, or river. Brackish water is typically a combination of pure water and seawater leaving in at a medium level of salinity. A medium level of salinity however, is not acceptable for consumption. The process in which the water goes through in order to be pure is referred to as reverse osmosis. The process 'osmosis' is best described as a natural attraction for water of a lower salinity concentration to move toward water of a higher salinity concentration. Brackish water reverse osmosis takes water from a well, lake, or river and forces it against the natural tendency. In other words the system applies pressure that exceeds naturally occurring osmosis and forces water toward a lower salinity. The water is pushed through a semi porous membrane. The membrane is made up of many layers and each layer is semi porous. A semi porous comparison would be a chain linked fence. A chain linked fence would allow small things through the holes, however, large things like a person or a car would not fit through the fence. Semi porous is like a chain linked fence but on a smaller scale. The semi porous membrane will allow smaller water molecules through but not larger TDS. Next, the pure water cycles through and is available for usage. The concentrated water is discarded with as little harm to the environment as possible. Reverse osmosis provides those who do not have consumable water with the opportunity to purify a necessity for livelihood. Totally dissolved solids (TDS) and total suspended solids (TSS) are lowered due to reverse osmosis which reflect in how many parts per million (ppm) are in your drinking water. The normal ppm for consumable water would be around 500-600, however, the majority of places around the world well exceed that with thousands of ppms making it difficult to survive. Reverse osmosis offers those who need it, pure water. No comments were found for Brackish Water Reverse Osmosis Devices, Dubai UAE. Be the first to comment!